Lately F1 it seems has gone rather research potty. And among these it was that of the Grand Prix Drivers' Association, which in the days before the Monaco Grand Prix took the initiative to release a high-profile fans' survey amid much fanfare, that has made the greatest impact. You may or may not be aware that I'm someone who has ten plus years' experience of working professionally in market research. So with this I'd like to think that combined with my F1 knowledge (stop laughing at the back) I can offer a few insights on this. The first thing to say is that - even though I would say this - the awakening to market research is a welcome one. Any responsible organisation seeks to find out what its audience thinks and factors it into decisions, so F1 simply is doing something most of the rest of the world worked out long ago. And research has many benefits, not just that it ensures decision-making can be informed but it also often is good for shifting decision-makers who wouldn't ordinarily be shifted. Which given the famously unshifting (non) decision-makers of F1 presumably was a lot of the point of this exercise. But with this there are common pitfalls with doing surveys. It's an activity rather like rising a bicycle, in that it outwardly can appear simple to the uninitiated but it is in fact easily got wrong - sometimes with painful consequences - by those who try to dive right in without guidance. Therefore I approached the GPDA survey not entirely sure what to expect; prepared for it to be anywhere on the scale between watertight and risible. I've seen plenty of examples of both. Fortunately though from looking through the GPDA questionnaire it was much closer to the former end of the scale. The questions were generally well-worded and balanced and the subjects covered were largely even-handed as well as extensive. On occasion the statements that fans were asked the extent they agreed with were a little on the loaded side, but it was nothing to get too offended about. Many questions could further have done with 'Don't know' and 'None of these'-type response options, as well as the wording including things like 'Which of these...if any', as not including such things and therefore obliging people to give responses even on subjects they haven't thought much about can result in some rough and ready answers. But again it wasn't a show-stopper. 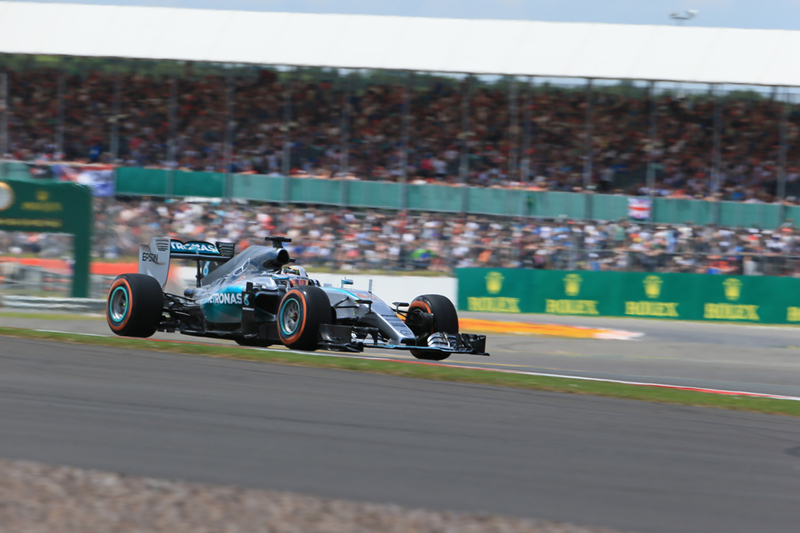 And just before the British Grand Prix weekend we saw the first handful of the survey's results in the form of a published executive summary (which can be read here: http://docs.dpaq.de/9267-2015__gpda_survey_exec_summary.pdf). As was long since apparent the summary confirmed that the survey got an exceptionally good response - upwards of 200,000 people participating in total. It's hard to think either of an alternative approach that could have accessed current F1 fans as successfully, certainly not in these numbers. Granted there will be some countries and some demographic groups, certainly older people, with lower internet access and experience and who therefore may have had less of an opportunity to take part, but every approach has its pros and cons and as mentioned it's hard to think how it could better have been done in this regard. Some things in the initial findings seem curious though. One is that while 217,756 fans took part the results published are based only on '133,000+' of them. That looks odd on the face of it. Perhaps as some have suggested this reflects incomplete surveys, perhaps down to the technical problems some had in getting onto the survey site. But even if this is so it would be a worry, not only in itself that such a large proportion had been in effect excluded but also that we could hypothesise for example that more casual fans would be less likely to persevere to complete things, as might those groups described above with less internet access and experience, thus important groups of fans may be under-represented in the findings. Hopefully more light will be shed on this one as more detailed results are released. 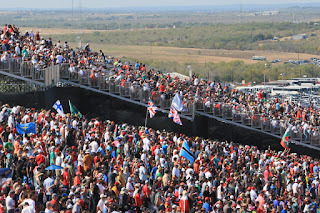 The summary mentions too that the results have been 'weighted to be representative of F1 fans by region and interest'. Nothing wrong with this in itself. Weighting so to correct over or under-representation of groups of interest in the results - which can occur either as a result of the survey design or, more likely, of differential levels of response to the survey from the said groups - is a standard procedure in market research. What is more curious though is why and how it was done here, as to weight the results you would need a known profile of the population of F1 fans to weight the results to. I'd like to know where the researchers got this profile of F1 fans by region and interest from as I had no idea it existed. Maybe it is based on TV audiences or something similar, though given how TV coverage varies by territory using something like that would likely be rather fraught with problems. Maybe instead the weighting was applied to correct a potential age skew in responses of the sort described earlier, but there's nothing in the age profile of survey respondents (more of that anon) to suggest that's been done to any great extent. Perhaps this one will have more light shed on it in time too. Some of the results rather veer into the territory of no brainers also, such as 89% agreeing that F1 should be more competitive (I'd like to meet the 11% who don't think this - perhaps it includes a T. Wolff of Vienna) plus that 86% agree that F1 drivers should be open and honest with fans. Fourteen per cent prefer aloof and deceitful drivers clearly. A better approach, and one that would have yielded more insightful findings, would have been challenging respondents to trade things off and prioritise, which can be done fairly simply in a questionnaire, rather than asking them if they agree with motherhood-and-apple-pie stuff - because everyone does and in turn it tells you little. At least one of the survey findings I found curious too. 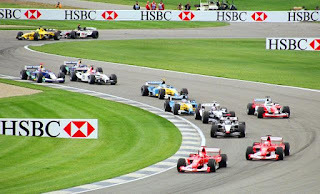 The executive summary reported that while 88% of fans said that F1 needs to feature the best drivers only 45% thought that F1 does feature the best drivers. Usually a fairly promising port of call in such a situation of being baffled by a finding is to look at the precise questionnaire wording as opposed to the usually paraphrased reporting of it, though worryingly in this case it's not obvious what refers to to what. 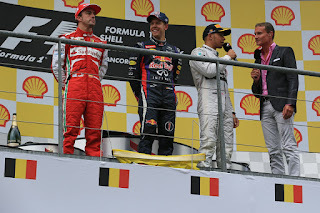 There is a question asking how important it is that F1 features the best drivers, which I assume has been paraphrased and interpreted in some way in the executive summary as agreeing that F1 needs to features the best drivers, and there's another question asking the extent you agree or disagree that Formula One 'showcases the best drivers', which I assume is taken as the measure that the sport does have the best drivers. In both cases however - particularly the latter one - the paraphrasing for the purposes of the published summary is on the heroic side. For example it's possible, maybe even likely, that you think F1 has the best drivers in the world but the sport in its current form doesn't showcase them effectively. After all the 'F1 drivers have it easy' discussion is one we hear a lot of these days - indeed perhaps instructively 56% in the survey believed F1 cars have become too easy to drive. Little wonder the results strike as odd. Whatever else you think of F1 in the round at the moment it is surely the case that the current generation of drivers is a strong one, that bears comparison with most from the sport's history. Fernando Alonso, Lewis Hamilton and Sebastian Vettel would be considered greats in any era, as would Kimi Raikkonen at his best. And there's a very strong next tier too - Daniel Ricciardo, Valtteri Bottas, Nico Rosberg, Nico Hulkenberg, Jenson Button, Romain Grosjean and others, then we have exceptional potential of Max Verstappen and a few more out there. And compare this for example with a generation ago when we had the great Michael Schumacher, one worthy adversary in Mika Hakkinen (and he had equipment with which to challenge only for three years or so) and then...not often that much. It's a reminder that not everything was better back in the day, however tempting it might be to assume differently. But there are a number of clear and usuable messages from F1 fans in the survey even apparent from the initial summary. There is an appetite for technology and relaxing the rules to allow greater diversity therein (74% agree with this) and similarly few like the idea of standard engines or cars. The sound and power output of engines also get strong backing as important. And there is a desire for these sorts of things to be the path F1 takes to improve the sport and increase excitement rather than that of what might be termed gimmickry. Features such as success ballast and reverse grids get low support (the support of DRS perhaps is surprisingly high at 40% however). And while Claire Williams said that the initial findings came too late to provide input to the latest Strategy Group meeting by happy coincidence this kind of thing appears to have been its direction of thinking too. One source from the Strategy Group was quoted as saying: "Nobody has an appetite for radical, fake changes like reverse grids or success ballast, things like that." There is widespread recognition among fans in the survey of the sport's cost problems too, with 68% describing them as 'too high and not sustainable' as well as the most common attribute associated with F1 right now being 'expensive'. A majority (54%) support a budget cap too. There is however another overarching survey finding, and one that GPDA chairman Alex Wurz noted: "It is interesting that we have people who followed F1 for the first time in the 2000s, when there was refuelling, and they hark back to that era as the best - as all of us do for the times we first became interested in a sport". There is indeed a lot in the initial survey outputs that is consistent with this 'harking back' to the noughties that Wurz describes. 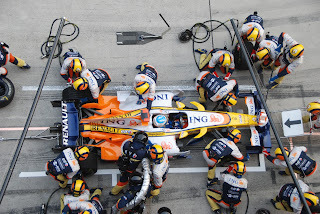 Eighty per cent say they want more than one tyre supplier as was the case in F1 before 2007; 60% want the return of refuelling which we had until 2010 and the 2000s was the decade cited most commonly as having the best looking cars, with 32% selecting this. Having watched F1 through this decade I can't say I really get the attraction in the general sense, while on these three specific matters I'm not on board with two of them and a bit torn on the other. To take each in turn, on one hand tyre wars can be fun - we can recall the midfield teams lifted to competitiveness by superb Bridgestone rubber in 1997 and the jumbled grid (with a Minardi on the front row!) in Phoenix in 1990 thanks to Pirelli getting its sums right. But perhaps we're less good at recalling the flip sides, not just cost but that tyre suppliers in competition often work against competitiveness and surprise by concentrating on providing bespoke product to whichever team is its best competitive bet (see Bridgestone with Ferrari for years), taking its cars even further ahead of the rest than they ordinarily would have been. 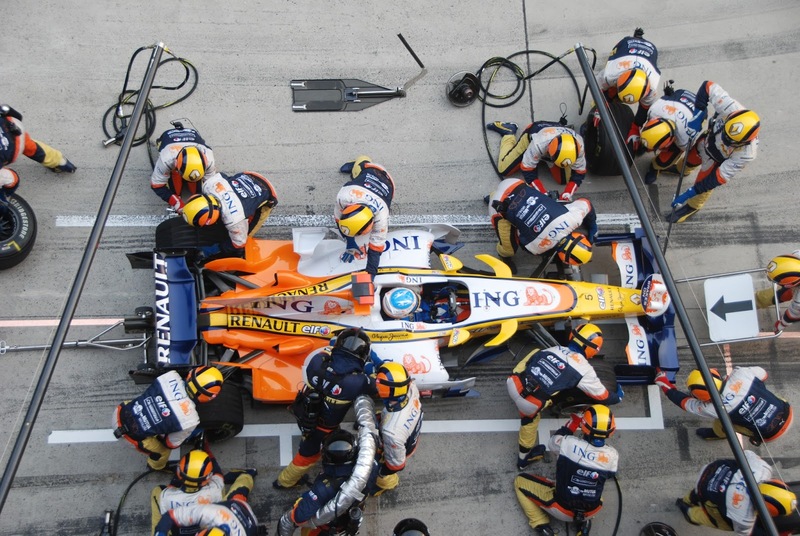 Refuelling I've never got and I've written in more detail for Grand Prix Times on the drawbacks of it (you can have a read here: http://www.grandprixtimes.com/news/display/10254). 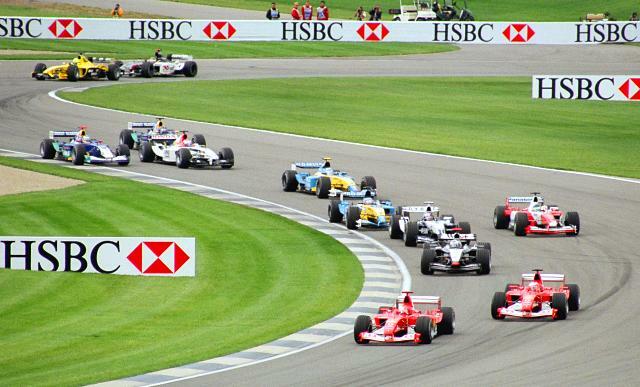 As for the look of the 2000s' F1 cars - yuck. Too busy and cluttered; too pinched in and don't get me started on the look of grooved tyres. Beauty is in the eye of the beholder I guess. Then there is the age profile of those who took part which may further back this hypothesis that those who started watching F1 in the 2000s rather dominated the responses - a majority of participants were aged between 25 and 44 years old and the average age was 37. Again as Wurz noted it does seem a common view, and perhaps a pitfall in trying to interpret the wants of F1 fans, that we are prone to think of the sport at the time we were first attracted to it as the time that it got things right. Perhaps just as endless summer days of school holidays in which there was not so much as a drop of rain exist (and possibly exist solely) in our recollections. Moreover Wurz likely got to the nub of the issue when he observed that "there are no new fans to counter-balance their views". And it is this apparent paucity of younger fans being attracted to F1 lately that perhaps is the most important matter to be identified by this survey. It's not a revelation of course as it was something known through other means beforehand. And indeed the fans that took part in this survey appear to know it too, with 85% of them saying that F1 needs to recruit new fans which also is up on the 64% that said the same in 2010. As for what's causing this phenomenon, well there are a few theories, such as there these days being more competition for young people's entertainment generally, F1's TV coverage shifting behind paywalls, the sport's reluctance of exploit social media and perhaps even the younger generation falling out of love with the automobile more generally (there is evidence that the rates of young people purchasing cars and learning to drive are falling too). But whatever is the case it seems beyond dispute that it is up there as one of the very most important problems for F1 to resolve and so it certainly does no harm that this survey has provided a reminder. So while the glorification of the noughties in the survey results told us something important, it was perhaps not what those espousing the view might have had at the front of their minds. And in responding to this plus a similar survey (with similar findings) from F1 Racing/Autosport it appears F1 senior figures have twigged on this too. On a tyre war Red Bull boss Christian Horner commented: "I think that's rose-tinted spectacles. If you go back and look at what Ferrari did with Bridgestone against Michelin with Renault - everyone else suffered. [More durable tyres] will make the racing worse, you'll have one-stop races which are never exciting." 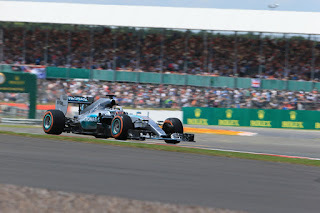 Mercedes boss Toto Wolff in a similar vein said that a return to refuelling would "limit the variance on strategy and you will see less overtaking". McLaren's Eric Boullier added: "The problem with refuelling is you get into a computer-driven strategy with no flexibility. Today you can mix-up the strategy quite a bit, which you wouldn't be able to if you had to refuel." Manor president and sporting director Graeme Lowdon added: "People forget, no-one used to overtake in the refuelling days, it was all done in the pitstops. Sadly I think a bit of amnesia has crept in from the fans with regard to those two things [refuelling and durable tyres]." Pirelli chief Paul Hembery stated too: "If you want exciting racing, the survey results go against that. A team will spend a lot of money on the best tyres and the best engine and there will be no overtaking and they'll disappear into the distance. That happened in the early 2000s and the audiences fell through the floor." Now you may be spluttering into your tea at this point that F1's senior figures apparently are resisting the call of its public so brazenly. But there's nothing, in itself, wrong with this. Indeed it's encouraging that Wurz and others from their words appear to have got research's bottom line. That it is there to help decision making, but it is not there necessarily to dictate it. Other available evidence should be used too, as indeed the above quotes appear to indicate is being done. It can be the case that what your audience demands is impossible, or even unwise. If this is the case - as appears to be so with refuelling for one - then the challenge is communicating to your public why this is so. That is the challenge to F1's stakeholders now. Research absolutely is not to be done in lieu of leadership, vision and direction. These must still be provided. Leaders with the help of research must take an informed view, then act upon it, and then defend it. And frankly as we well know by now it is the lack of these - the lack of much of a sense indeed of what F1 ought to be - that got the sport into its hole in the first place. The lack of defence and promotion of the current formula - and from nearly all of its levels - has gaped. Some prestigious people who shall remain nameless have moreover done the exact opposite of promotion and defence. There looks indeed to be some evidence in these findings of key facets of the current formula not being promoted effectively to current fans, with just a third of them agreeing that the sport needs to promote fuel efficiency. Most importantly of all it appears the research findings are being used. 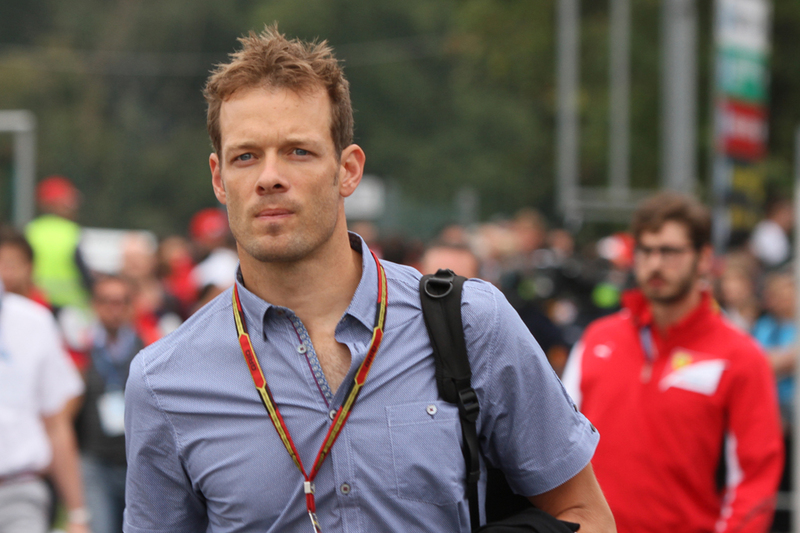 "We are in contact with the key stakeholders and the Strategy Group, and they are interested and definitely considering the fans opinions that were collected in the Survey" Wurz said more recently. "Due to the huge sample size we gained, there is a great deal of understanding that can be had". And replicating the research benefit I described at the start of this article Wurz added: "it would be hard for anyone to ignore the collective opinion and data from such a large number of fans." Wolff concurred, saying: "We should continue to develop the sport and listen to the inputs and the surveys." Hopefully this is just the start too. 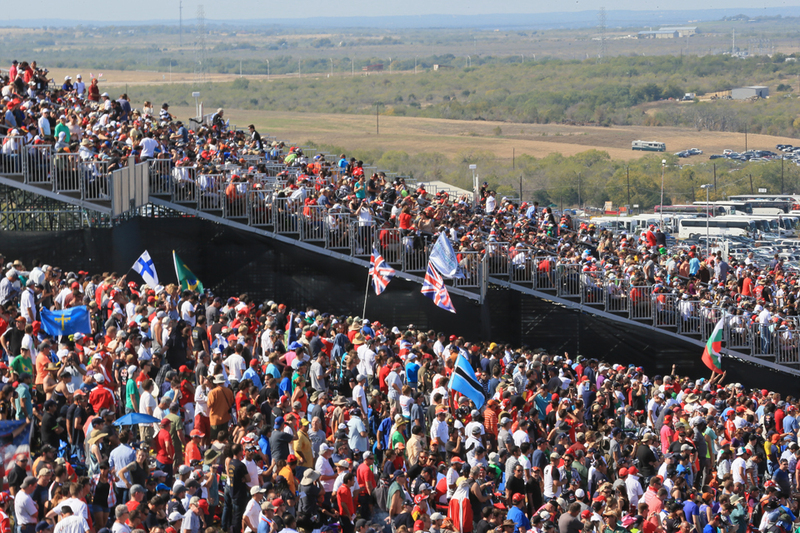 With this research's approach of being a voluntary self-completion survey it will have been completed mainly by committed F1 fans one assumes, and while the views of these existing fans of course are important there is a lot to be gained from talking to other audiences in addition. One group that would perhaps be even more useful are those from the wider public who don't currently follow F1. You may wonder why we'd be concerned with them but understanding the sport's wider image and 'brand' will help in a variety of ways; most pointedly it'll assist our understanding of how new fans can be attracted in. Those who have drifted away from the sport also are a key group to understand, though accessing such people wouldn't be the work of a moment. The best bet likely would be to try to pick some of them up in the non-fans' research. In summation though there's not a lot to criticise here, and as I said at the outset this is a highly welcome and overdue development in F1. Bravo.